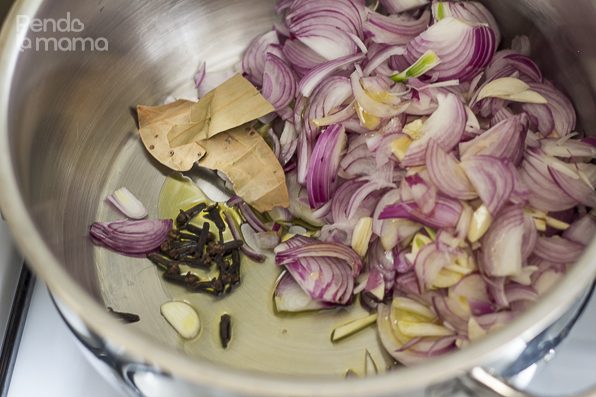 This beef, it started out as beef onion, my version of it anyway. I haven’t look up any recipes but from the name I gather it’s beef cooked in lots of onions so I decided to have a go at it. Took a slight detour at the end though — old habits! I had not cut this many onions at a go since the baby was born. And the few I had cut made me tear up like crazy — which was beginning to get annoying. 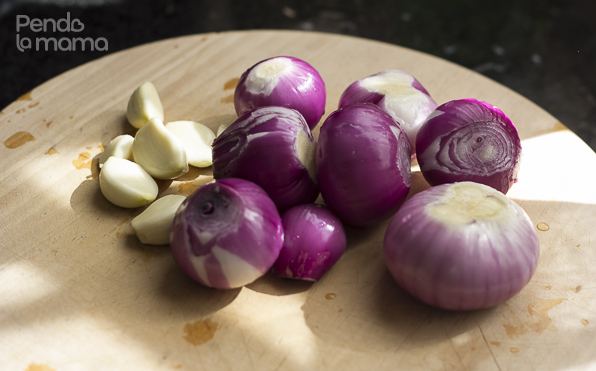 I can’t remember the last time cutting an onion stung as much as it has since I started cooking again. This was going to take care of that! I was getting back in line, this tearing up business was getting dealt with. That’s as many as I as able to cut before I couldn’t take it anymore. 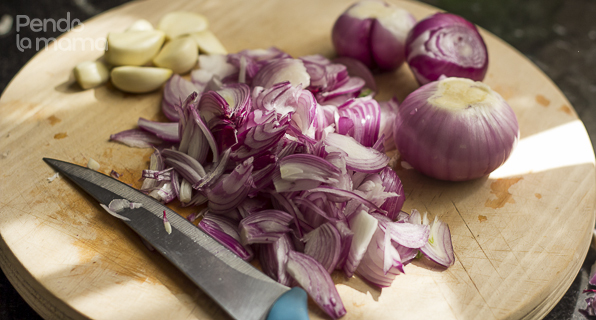 I didn’t just stop cutting, I walked out of the kitchen looking for onion-free air! 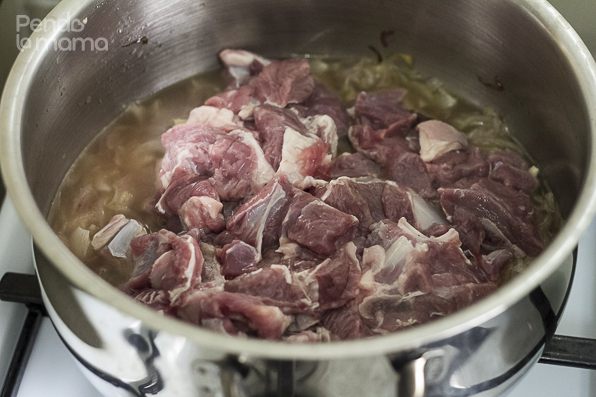 Stir, cover and let the meat cook slowly on medium to low heat. 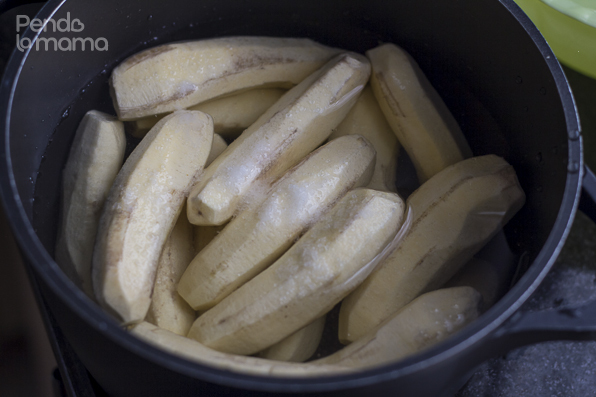 In the mean time, peel the matoke and boil with a bit of salt. 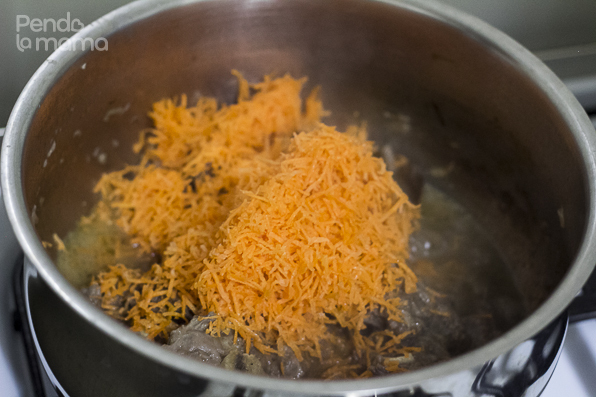 Once the meat was cooked, I added some salt to taste,… and then I messed up! I went to get something out of the fridge and noticed I had some unused grated carrots. They were not part of the original plan for this beef, but they had been in the fridge for a couple of days already. So without thinking much about it I just grabbed them and added them to the beef (-_-) Then I remembered the beef onion plan! Sigh! I thought about picking most of them out before stirring but it would have just been a big mess, so I stirred them in. Oh well! 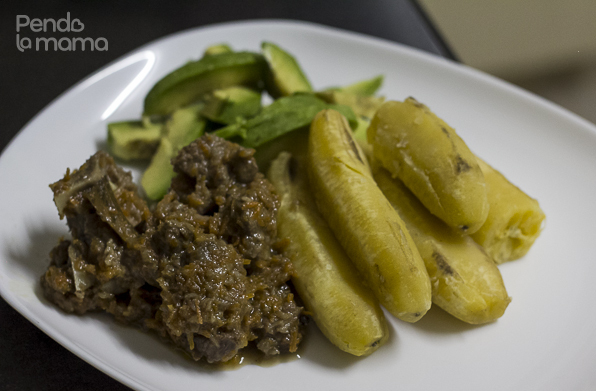 And there you have it, matoke and beef, served with avocado on the side. This isn’t one of the old ones but I didn’t get a rating for it for some reason, and he doesn’t remember what it tasted like. 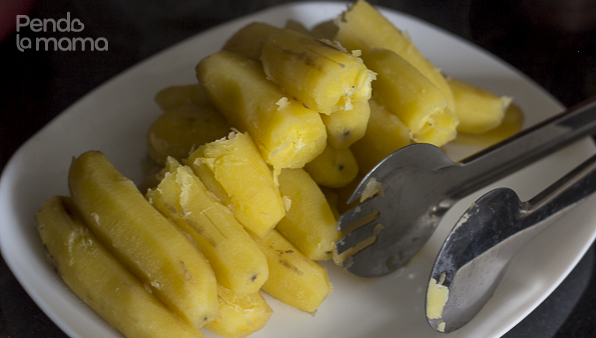 Looks delicious, I had never thought of making matoke like this till I visited my mum recently and she’d made them for dinner, very delicious with beef stew. Again, welcome back to blogging. Also what pans do you use? Pardini? The stainless steel pans I have are Tescoma, Nakumatt carries the brand. They were wedding gifts! Such great gifts I tell you! God Bless the givers! Just looked up the Pardini ones, they look nice! where can I find them? Hey Aika, the pardini pans can be bought from Tuskys or Nakumatt. I made this meal for my fam last evening and they loved it, i replaced the Avocado with broccoli- it was amazing.Thanks Aika. I’m so glad they loved it, thanks for taking the time to come back to say so. And the broccoli switch is a great idea! I hope to get a favourable response from them! 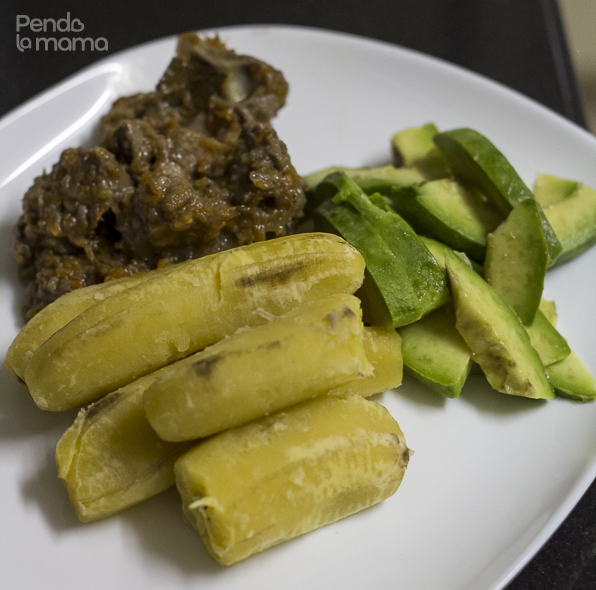 Kenya’s national dish, hmmmm, ugali is there for sure! I love ugali!